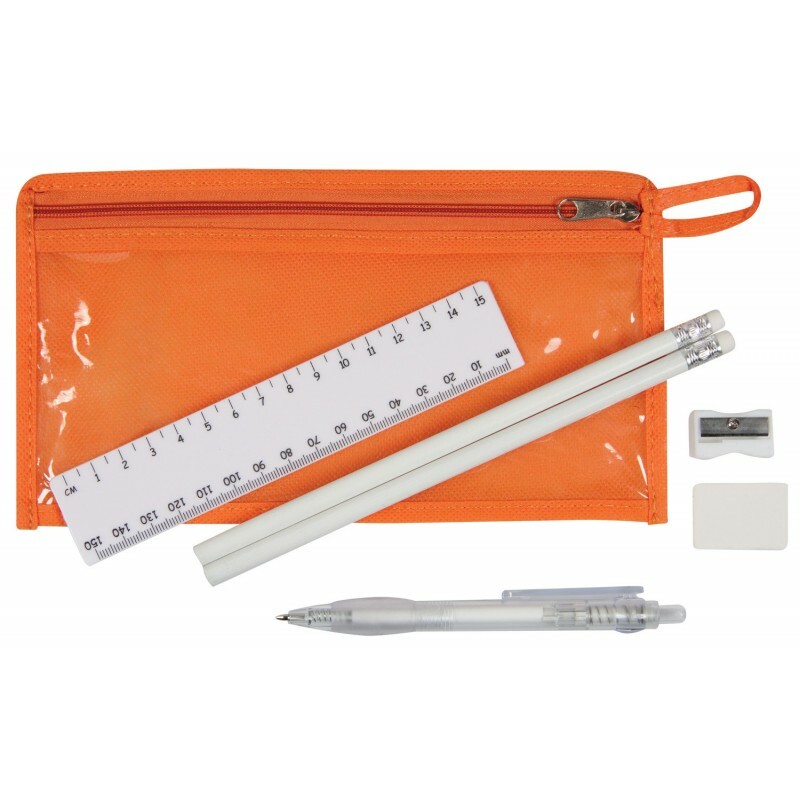 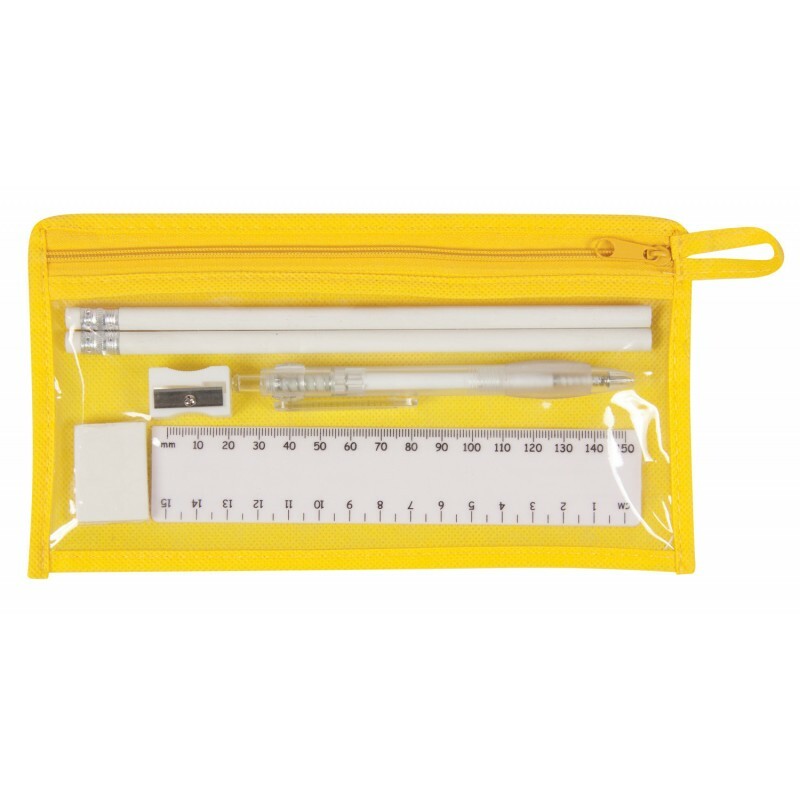 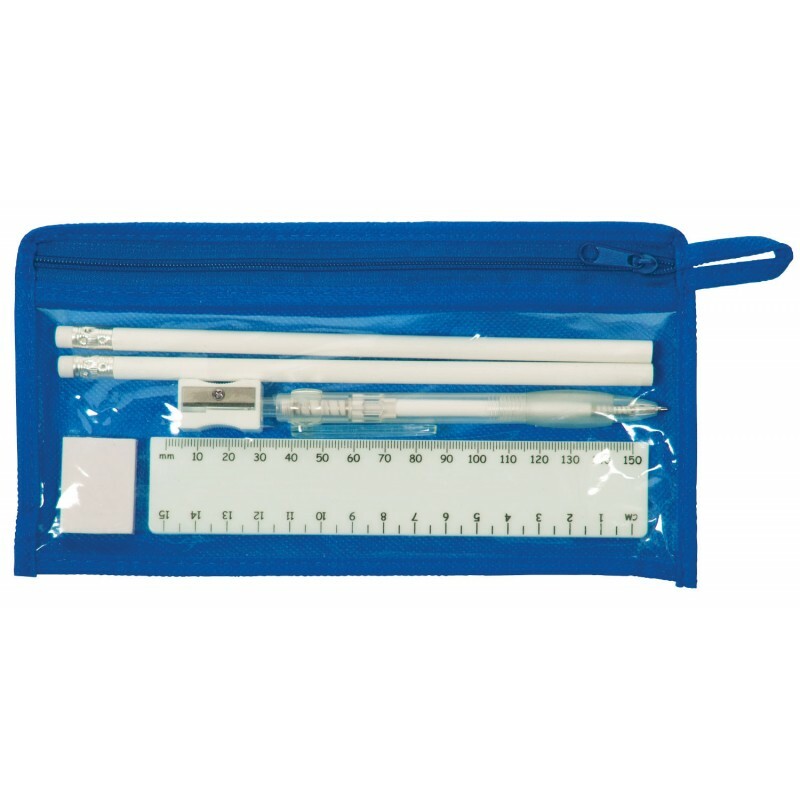 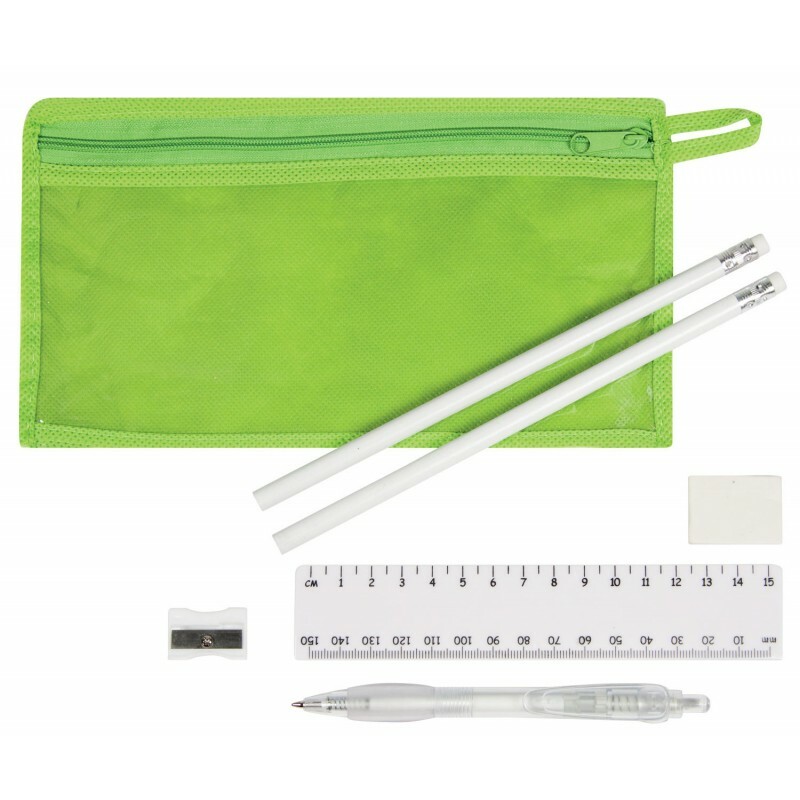 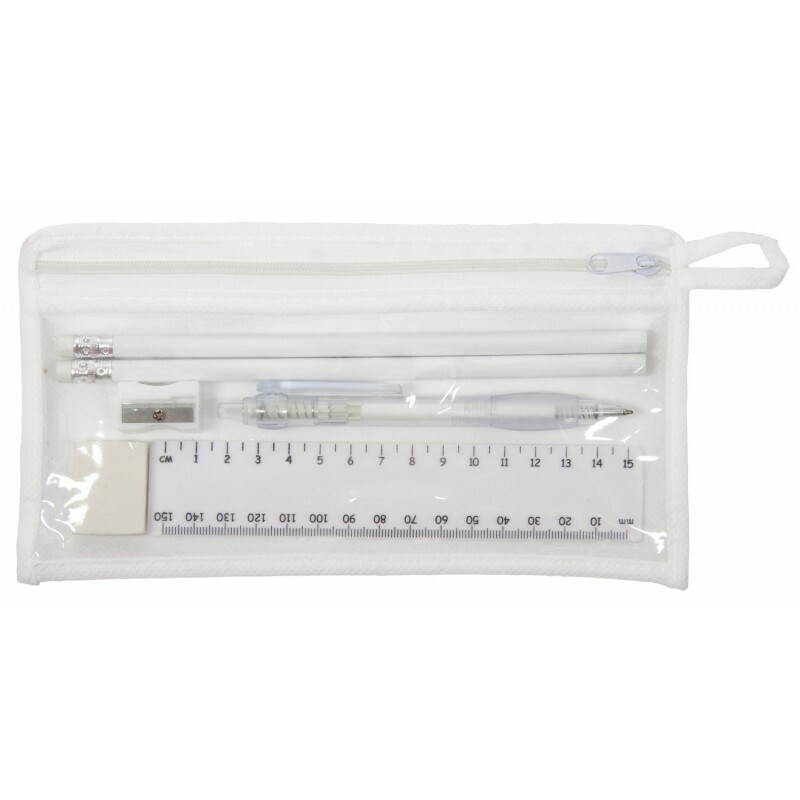 The Delta Statonery Set includes a 15cm ruler, two full length pencils with erasers, ballpoint pen, pencil sharpener and eraser. 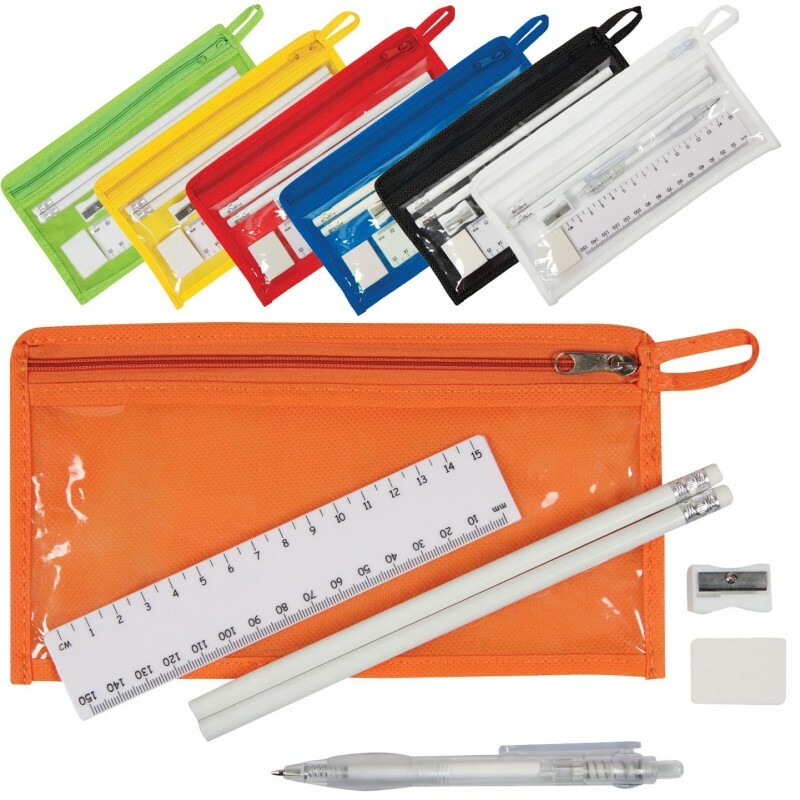 The set is packed in a zippered non woven pencil case with clear PVC window at the front and comes in a range of vibrant colours. 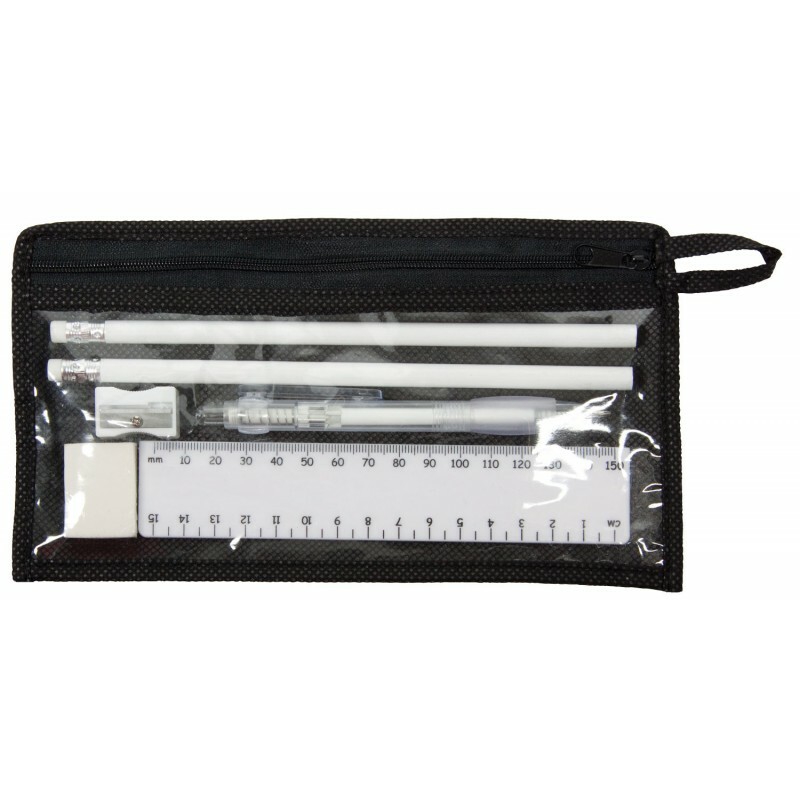 W 220mm x L 120mm x 5mm.